There are many Marketing Automation Platforms available today - and each with its slew of neat features and tools. However, as a B2B tech company, if you are looking for that one comprehensive platform that encompasses all the features that both Marketing and Sales really need, then look no further than HubSpot. HubSpot’s suite of features not only make it easy to attract visitors but will also help you to convert their visits to sales qualified leads and closed deals. After working with scores of B2B tech companies over the years, we noticed that 99% of them do not exploit the full potential of their HubSpot account. In this blog post, we highlight several HubSpot features that we often see are underutilized but when properly exploited, can provide a whole heap of value to your business, and quite frankly help scale your B2B tech company upwards, in a very short time frame. Most probably, you are using the HubSpot Marketing section to create emails, landing pages, forms, and workflows, and also to maintain and organize contacts. However, did you know that you might be missing out on some of the best features that can help you generate more leads and close more clients if used properly? In our experience, no B2B tech company that we have ever onboarded had the Buyer Persona section filled out in their HubSpot. Not one! Even though they may have an idea who their persona is, they have never taken the time to update it in their HubSpot. Understanding the buying patterns of your target audience makes it easier for you to approach your prospects in the best possible way. (FYI, just in case you are wondering what we are speaking of, personas refer to general and fictional characteristics, which include various goals, needs, as well as the behavior patterns among potential or existing customers). With personas, it becomes easy to understand your prospects and what they are all about. If you create buyer personas for your B2B tech company, you will be able to market your products to a very targeted audience and not waste time chasing leads that just happen to fall onto your site. The HubSpot’s buyer personas tool helps you create the most suitable buyer personas, depending on their goals, the problems they are experiencing, their roles, as well as their company. Go to your marketing dashboard and find the Top Personas widget, hover over it, and select Add persona as shown in the figure below. However, you need the permission of viewing and editing contacts and contact property. The second way of adding persona is through the contacts settings. From your account, go to the Settings option, select Properties, and click Contact properties (see the image below). From the search bar, type in "persona" and this property will appear. Use the same procedure to add other personas. Smart content describes content which targets the needs of a certain group of customers. It allows your B2B tech company to tailor content for certain stages of the buying process. The HubSpot Smart Content tool makes it easy for all agencies to deliver Smart Content to their prospects. Do you need to personalize your content anyway? According to HubSpot’s report, by managing personalized content, you are able to improve the performance of your website in terms of lead generation and user engagement. The report, for instance, noted that out of 93,000 calls-to-action from a given company in a period of one year, the performance of personalized calls was 42% better in comparison to the generic ones. With smart content, you can target both the contacts that you have, as well as an anonymous audience. This HubSpot feature allows you to target your audience based on different characteristics such as country, devices they are using, referral source, contact lifecycle stage, contact list membership, as well as preferred language. You can use smart content on forms, custom HTML, or even rich text, but it is important to segment your contacts prior to beginning the process of smart content creation. The Campaign feature is important for every B2B tech company – It enables the marketing team to plan and execute better campaigns. The tool allows you to concentrate every bit of your agency’s marketing efforts and channels towards a single goal and offer. This feature also gives you the possibility of associating your campaign with other marketing features such as social messages, blog posts, emails, calls-to-action, landing pages, workflows, pay-per-click, keywords, as well as traffic that you get from other sources. A well-planned and executed campaign makes it easy to entice as well as attract clients to your goal. In addition, campaigns are necessary for the generation of the appropriate leads, traffic and conversion of visitors into customers. Using the HubSpot’s campaigns tool is easy, since you can track your agency’s results for each campaign that you run, regardless of the specific reasons for the campaign. It could be a launch of a new service or product, or you are aiming to change the perception of the public on a certain issue. Establish the goals of the campaign: What is the primary idea behind your campaign in terms of what you want to achieve? Come up with an attainable and realistic goal that you can measure. Determine the buyer personas. You cannot run a successful campaign without an audience in mind, and determining your buyer persona is important, since it helps you choose the most effective channel to reach them. Decide on the offer that you will be making to your audience. However, make sure that you also/first take into account the stage of your target audience’s journey as a buyer. Establish how you will convert the contacts: A conversion path is necessary for every campaign. You can use thank you pages, or landing pages in creating a suitable conversion path. Use different inbound marketing tactics such as social media, blogging, calls-to-action, email, etc. to promote your campaign. Lastly, nurture your contacts with workflows. SEO is changing and to remain relevant, you need to adopt HubSpot’s strategy tool. This feature gives you the platform for building your authority around search engines, by planning your SEO approach, optimizing your content, as well as measuring real ROI. Every marketing individual looks for leads since they are the direct link to sales. 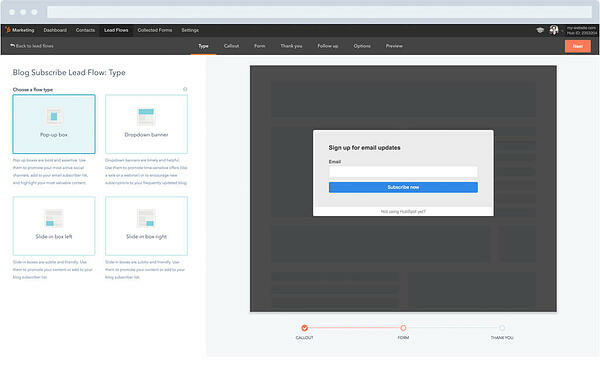 With the HubSpot Lead Flows feature, you can create as well as personalize engaging lead forms with ease. The tool is compatible with any website, it does not require any developer tools or expertise, and it is free. The Lead Flows allows for the seamless conversion of visitors to your website to become reliable leads. With this tool, you create forms on your website that pop up at any time, prompting your visitors to take action. In addition, it allows you to automatically establish the identities of your leads and their activities. It is designed to give a glimpse at your leads’ activities on the web, their profiles on different social media platforms, as well as any other information about their companies. The HubSpot Ads feature is a must-have tool for any marketing agency that wishes to know how to reach a high ROI by converting visitors into customers. It is a great platform to prevent you from targeting the wrong audience and assists you in targeting users who have the relevant buying potential. The Ads tool also helps you identify which of your ads are successfully converting. What can the HubSpot Ads tool do for your agency? Every inbound marketer invests significant effort and time to get people to visit their site – but that’s only half of the battle. You need a tool that will help you engage with your site visitors. The Drift - ChatBot, does just that. It enables you to converse with visitors who are on your website, to assist them with anything that they need. Apart from chatting with visitors at your site, the ChatBot gives you an overview of the visitor’s activity, as well as the source of the activity from your contact’s timeline. It is a great tool that makes conversion easy since the sales team can make follow-ups based on the visitors’ activity (such as who has viewed your agency’s pricing page). Similarly, marketers are able to tailor their emails and workflow according to the chat. A great number of B2B tech company sales teams are most probably locked on to Salesforce. Nevertheless, HubSpot has some neat features that can surely come in handy to the proactive sales person. You will probably agree with me, that drafting an email every time you want to pitch to a client can be tedious and relatively ineffective, especially if you have a large number of prospects to contact. 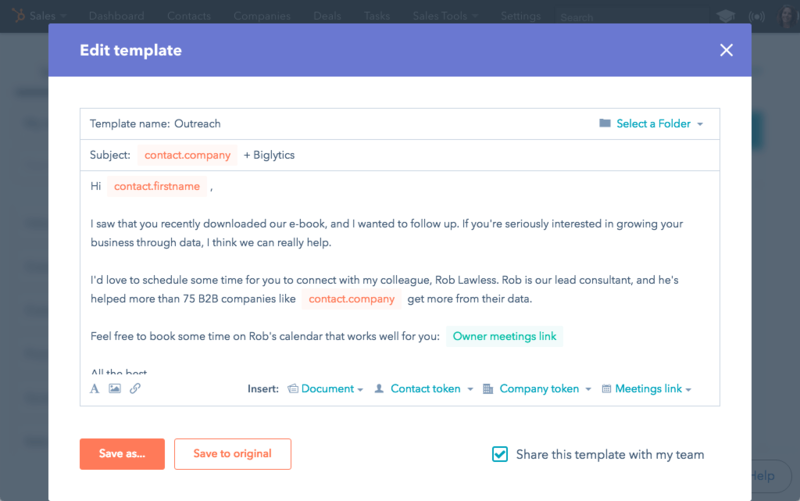 HubSpot’s Sales Templates save you the trouble of creating your own. These are premade email formats, which are easy to personalize, and are ready to send to your contacts at any time. You do not even have to worry about typing similar content every time you send out an email. Access to several ready-made templates that are tailored to the different steps of the prospect’s journey. Since the Templates tool is compatible with Gmail, Office 365 for Windows and Outlook, you can use them most any given moment. The ability to optimize the email templates based on real-time metrics. The option of sharing the templates with different members of your team. 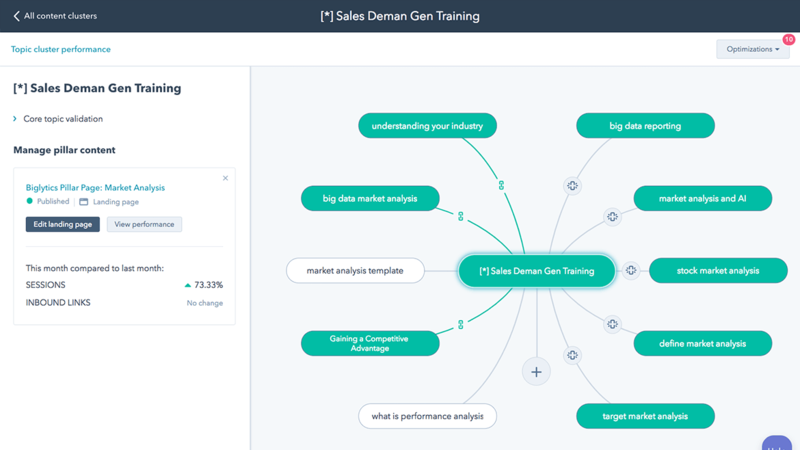 The Sequences tool is perfect for helping you nurture your leads by turning some of the most effective as well as repetitive sales emails into sales templates that your team can customize and optimize for use in doing follow-ups. The Sequence tool is ideal for follow-up automation, elicitation of a response, and in nurturing a prospect during a specific period of time. Add tasks to the sequence templates and assign them to a particular queue. 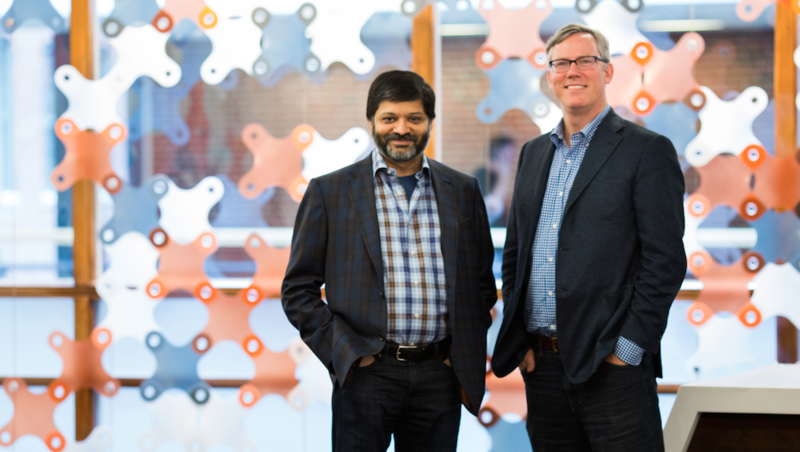 Service Hub is HubSpot’s latest offering that helps service teams manage, connect with, and truly understand their customers. Understanding that customers today are less patient, more skeptical, and have higher expectations it is no surprise that the companies that will succeed in the future are those with happy customers. Although the Service Hub has several features such as conversations, tickets, feedback, knowledge base and many more the feature that excites us most for B2B tech companies is ticketing in order to better track support activities. 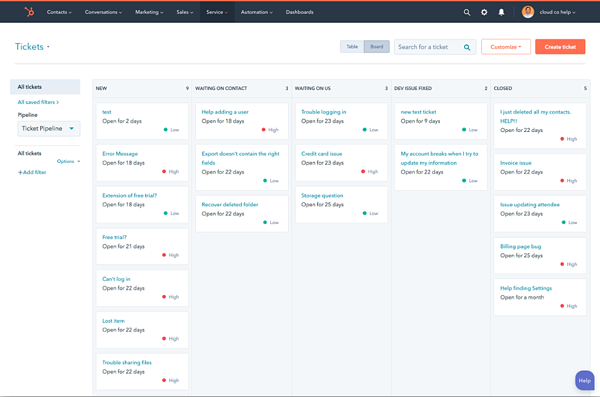 Tickets can organize all of your customer inquiries in one place and help you track trends over time. The above 10 features are only a few of the many great features in HubSpot’s box of magical marketing tools. Try them. Experiment. See which works best for you, and feel free to try others mentioned as The Best HubSpot Features for Lead Generation in B2B Tech Companies. We’ll be happy to hear from you about your experiences.